Playground Games' brilliant open-world racer expands its horizons with a whole new winter wonderland. I've been chasing the race leader for more than a lap, but despite being so far up his tailpipe I can almost see his pistons, I just can't seem to pass him. And now a blizzard has rolled in, reducing visibility to a point where I can barely make out the checkpoints as I speed through them. The chances of me actually winning this race are slim, but I keep on going, trying to finesse my trusty Mitsubishi Lancer Evo VI GSR around Blizzard Mountain's tight corners, its snow tires slipping and sliding as they scrabble to find purchase on the icy road. As expected, I'm not the first past the finishing post, but I don't mind too much. Blizzard Mountain is turning out to be a really challenging and exciting expansion to the sublime open-world racer that is Forza Horizon 3, and I'm enjoying every minute of it. I arrived here by helicopter, a wild trip that's initiated by driving to Redstone Airport on Forza Horizon 3's main map. The wintry environment is basically a new addition to the original game, and comes complete with its own self-contained map that features more than 50 new races and challenges. These are all central to the expansion's objective, which is to become King of the Mountain. Achieving this lofty title involves earning stars in the various events that are dotted around the map. For races, that means finishing the contest to earn a single star, coming in first to earn two, and winning plus hitting an objective – such as scoring 175,000 skill points during a race – to garner all three. Bucket List challenges simply require you to finish them to earn their stars, while Speed Traps, Drift Zones, and Danger Signs can also earn you up to three, depending on how fast you go, or how far you manage to slide or leap. The more stars you earn, the more events are opened up, and so it goes until you unlock and win the final challenge: The Kingmaker race. It's pretty straightforward stuff in principle, but in practice, achieving this goal is quite challenging thanks to the often-atrocious conditions in which you have to drive. Blizzard Mountain's valley floor routes are covered in slush and ice, and the higher you climb into the surrounding hills, the deeper the snow gets, to the point where you can barely make out the road you're supposed to be driving on. Needless to say, all this cold stuff is a recipe for much tail-happy action, and you really need to be quick on the counter-steer if you're going to keep your car on the road. Adding an additional layer of challenge to the inclement conditions are the blizzards that roll in during certain races. 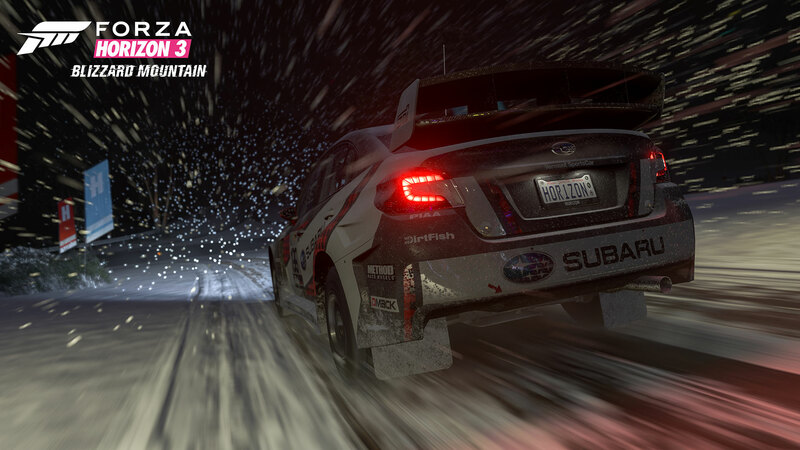 As I mentioned at the start of this review, they seriously affect visibility, and following the road in the midst of a snowstorm can be quite difficult – especially when the race takes place at night, and your lights are reflecting off the plumes of snow being kicked up by the cars in front. However, while these alpine conditions are extreme, they're also truly exciting to drive through. As well as these "Blizzard Races," there are also Hill Climbs and Descents to test your driving mettle. These point-to-point races require you to wrestle your car along frozen roads as you ascend or descend to your destination, while watching out for the deadly patches of black ice that can really ruin your race. It's a little less stressful than driving through the thick of a storm, but no less thrilling – especially when you're racing downhill and have gravity at your back. What I love is that you really have to modulate your throttle and braking effectively to carefully maneuver your car along the often-sinewy roads. Sometimes it feels like you're driving on a knife-edge; it's truly white-knuckle stuff as you attempt to conserve momentum and maintain grip to extract the maximum performance from your ride. 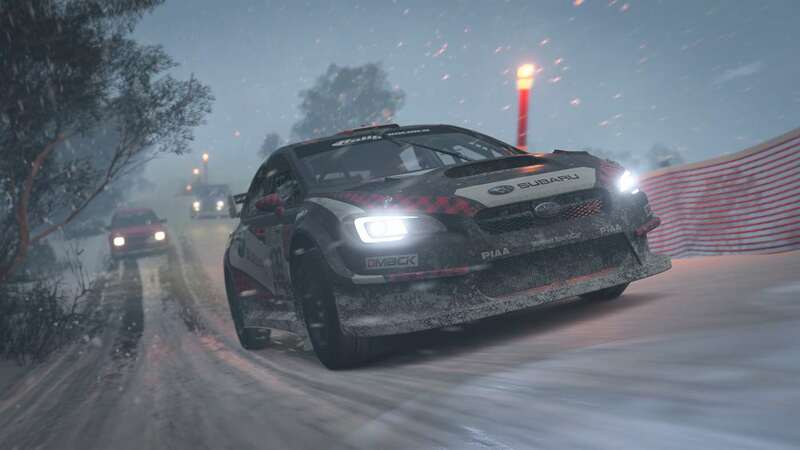 Speaking of which, Blizzard Mountain includes seven new off-road vehicles for your driving pleasure – a 2016 Ford GYMKHANA 9 Focus RS RX, 1966 Ford F-100 Flareside Abatti Racing Trophy Truck, 1975 Lancia Stratos HF Group 4, 1985 Lancia Delta S4 Group B, 2016 Nissan Titan Warrior Concept, 2016 RJ Anderson #37 Polaris RZR-Rockstar Energy Pro 2 Truck, 2016 Subaru #199 WRX STI VT15r Rally Car – plus a new Barn Find. It's an interesting roster of cars and trucks that are all well suited to the snowy conditions. Although it's not particularly cheap at a penny shy of $20, I nevertheless think that Blizzard Mountain is a must for Forza Horizon 3 fans. What it brings to the table is a different kind of driving experience that's more challenging than the conventional game – especially if you stick to higher difficulty settings. It also looks absolutely terrific. The environment is beautifully rendered and lit, and the weather effects are top-notch. 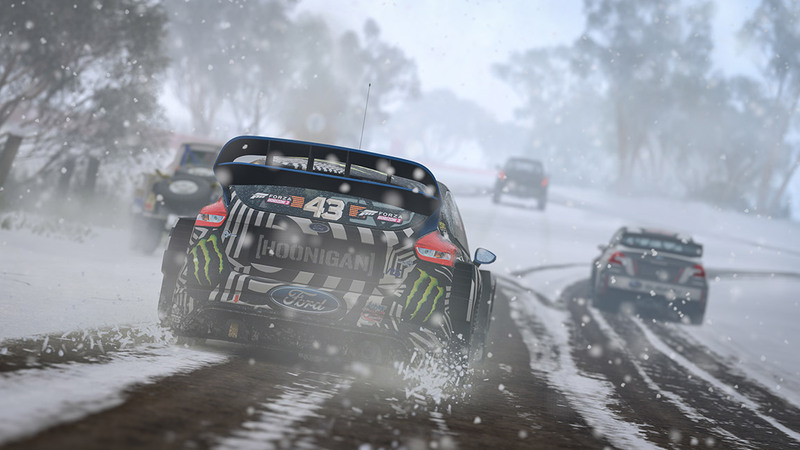 Indeed, I'd go so far to say that at its best, Blizzard Mountain looks even better than the lower-altitude portions of Forza Horizon 3 – and that's really saying something, because I think that the original game is one of the most visually impressive Xbox One games yet seen. If you're a Forza Horizon 3 fan looking for a new challenge, you should definitely take that helicopter ride to Blizzard Mountain. Tagged with Reviews,	Xbone,	Xbox Consoles.